each guest is transported to a revitalizing haven. 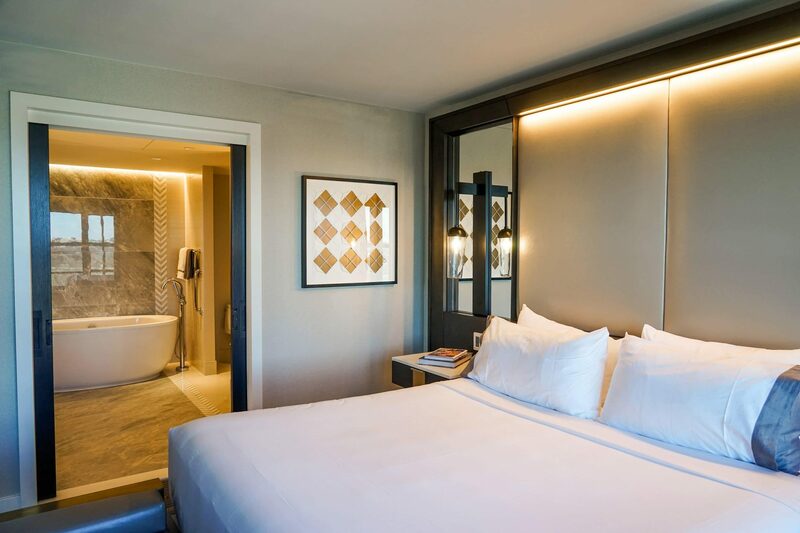 Gravitate toward our chic King Deluxe room and create exciting memories. From 340 sq. ft., revel in natural lighting, wireless internet, digital control, Nespresso maker, mini bar, 50” TV with Bluetooth and a spa inspired bathroom. The essence of the waterfront views start in the King Premier Riverview. The natural lighting from the floor to ceiling windows frame the setting of the Potomac River. From 340 sq. ft., enjoy an Nespresso maker, 50” TV with Bluetooth, digital control and spa inspired bathroom.